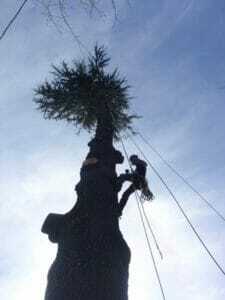 Home » Blog » Tree Removal Cost in Portland, Oregon? Unfortunately the answer to the question: What are tree removal costs in the Portland, Oregon area, is a very unsatisfying “it depends.” We all would like a reliable formula or app for that, but unfortunately, that app doesn’t exist yet. Sometimes tree removal costs $50 and sometimes a single tree removal can cost $25K. While there’s no definitive answer or formula to determine the average cost of tree removal, there are 5 factors that go into determining the cost of tree removal. Portland prices will be mentioned in the post, but they’re only estimates and not a guarantee of cost. Every tree is different and therefore every tree removal will be different. Again, these prices are rough minimum estimates, based on 2017 pricing. 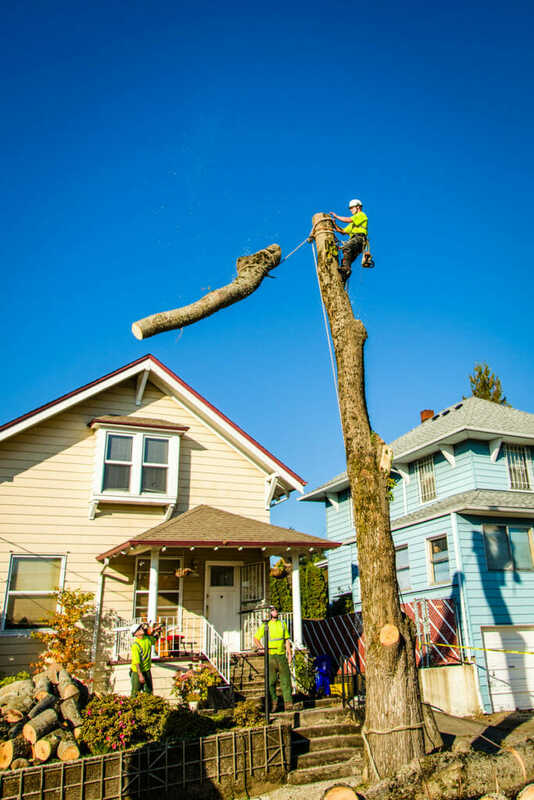 So without further ado, here are the factors that can affect Portland tree removal costs. The size of the tree is the number one factor that can affect how much tree removal will cost. Both the height of the tree as well as the crown spread of the tree are factors that are taken into account by arborists. Most people have difficulty getting the accurate height of their tree just by guessing. Luckily, there is an app for tree height which you can download here. If you stick with guesstimation, a single story of a house is about 15 feet. If your tree is larger than your house, it’s likely that removal of that tree has passed the $1,000 price range. If it towers over your whole neighborhood at over 100 feet, then you’ve probably passed $2,500 in removal costs. Spread is a much harder thing to estimate, but for something like an Oak tree that spreads over 3 yards, is difficult to remove due to the large diameter and many branches that make up the tree’s canopy. The Oak with the 3 yard spread, is probably not going to be under $2,500. The more a tree overhangs your house, the more it costs to remove. If the roof of your home has things like a skylight or is made up of cedar shingles, tree removal will cost more. If a tree is within 10 feet of your home, it will likely cost more than $2,000 to remove, because extra precautions need to be taken around your home. Additionally if there are things like RVs, hot tubs, and playground sets in your yard, it’s a good idea to move these things while your arborist is working. Working around these things takes extra time, which translates to a higher average cost of tree removal services. The same applies to fences and cement or asphalt. Working carefully around your fence costs more. So if you’re considering a new driveway or fence, having your tree removed before these are installed, is a great way to save money. How close your tree is to power lines and communications lines, especially high voltage power lines, will also affect how much the tree removal will cost. A tree that grows next to high voltage lines likely over $2,000. 3) Do you Have the Required Permits? Portland’s trees are a vital and protected resource of the city. The City requires formal approval for removal of ‘street trees’ which grow in the public right-of-way, on private property, trees over a certain size or in a certain district may also require permitting. Though it may seem thrifty to bypass this process, fines of $1,000 and greater will quickly void any savings. A consultant at Urban Forest Pro can help you navigate this permitting process to protect yourself. Is the tree easy to access with tree removal equipment? For example, a backyard tree costs more to remove than a front yard tree. If it’s difficult to access your backyard or the team has to go through the garage, the cost of the tree removal can add to removal expenses. This is why sometimes it makes sense to take a fence down if you’re removing a backyard tree. While it may seem obvious, a tree on a cliff costs more than a tree on flat ground. The steeper and more rough the terrain, the more tree removal costs. Another thing that can affect pricing that you may not have considered, is if we have to get city parking permits to reserve parking on your street. If you live in the 97210, expect to pay $200 more just for parking. Similarly, the closer your property is to Portland central, the easier we can reach you. Savings in fuel and time will be passed along to you. In suburban or isolated areas, flexible scheduling can help to avoid excessive costs by arranging to have work performed at the same time as your neighbors. 5) What’s the Condition of the Tree? If your tree is dead, rotten, diseased, cracking or otherwise in bad condition it typically costs more, as removal for sick or dead trees is more difficult than healthy ones. If your tree has fallen on your house, removal typically costs upwards of $5,000. The silver lining for this situation is that your homeowner’s insurance will most likely cover this type of tree removal. We also take into account how much repairs may cost if something happens. Does your home have custom gutters? Does your yard have a pool? The cost of potentially needing to repair these things goes into the cost of the removal. The amount of effort that goes into clean up after the tree has been removed, also affects the cost. We strive to leave your yard in the condition we found it, but that takes time. Spring is the time when trees show their true colors. As a result, the warm months are the busiest time for tree service, and our scheduling backlog increases quickly. If a project does not require immediate attention due to a hazardous condition, you may arrange to schedule work to the months of January, February or March at a potentially reduced cost. As a bonus, frozen ground and snow cover can help minimize the impact of a tree removal to your lawn. These are only rough ballpark figures, and every tree is different. 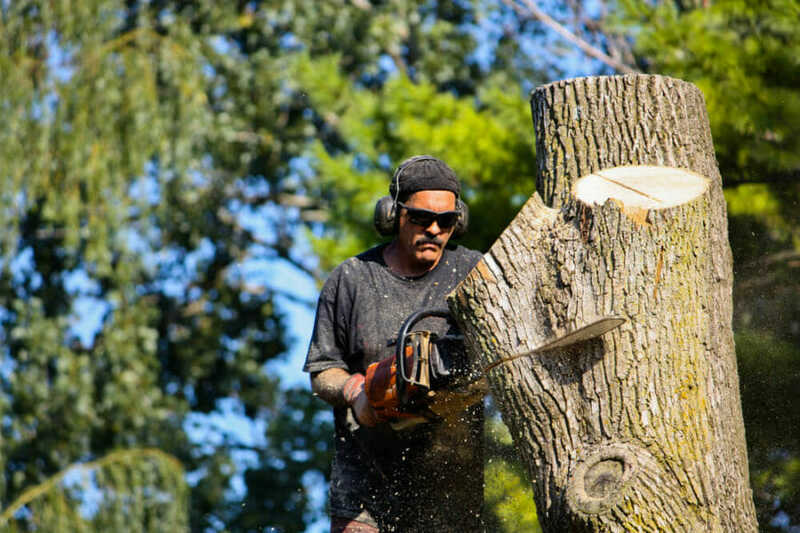 If all of this tree removal pricing has you feeling overwhelmed, we have good news for you. Urban Forest Professionals can provide you free estimate. 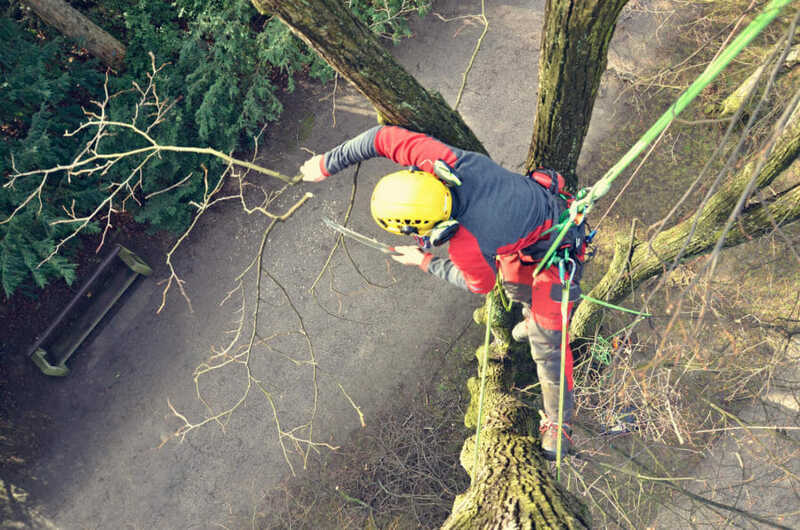 Our arborists are all licensed, bonded, and insured. We serve the Portland Metro Area as well as Vancouver, WA and its surrounding areas. Contact us today to find out more.